What is the Sense of Touch? Your sense of touch, unlike your other senses is not restricted to any particular part of your body. The sense of touch originates at the bottom-most layer of your skin called the dermis. Your dermis has millions of tiny nerve endings which relay information about the objects, textures and temperatures that come into contact with your body. It relays this information to your brain in the form of small electrical impulses sent via the spinal cord that tells you whether something is hot, cold, rough, smooth or sticky. 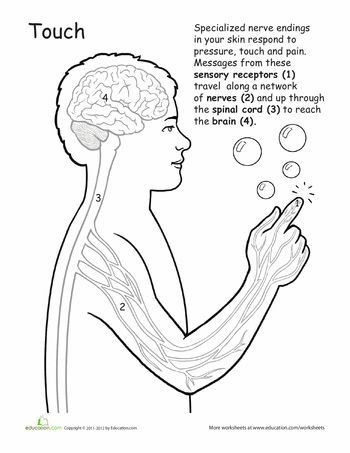 Each of these nerve endings are responsible for telling your brain when it is exposed to a particular type of stimulus. Certain parts of your body like the fingertips, lips and face have more nerve endings than the rest of the body, which is why they are more sensitive to touch.